This entry was posted in Professional and tagged book, wwwd on 1 March, 2019 by john. The book is available in every iTunes store globally. The beautiful, full-colour paperback is currently in printing in England, and will be heading out to pre-orders from September 9th, and available for general sale shortly thereafter (http://notosh.myshopify.com/products/how-to-come-up-with-great-ideas). Thank you to all those who pre-ordered and waited patiently for it. I'm delighted that my first book is finally out there in people's hands, and cannot wait to hear back from readers on how they develop their innovative ideas. How can students, teachers and school leaders in the education world innovate, share and build on new ideas, taking them out of individual classrooms to have a wider impact? What could schools ever learn from luxury fashion houses, political campaigners, global tech, media and telecommunications companies, and the world's biggest businesses of tomorrow, the startups? You can achieve ambitious visions for learning through swift innovation by borrowing from the people who invent, create much from little, and refine their ideas with a swiftness few of those large corporations, Government or schools have seen. Learn more through practical steps, workshop activities for your own teams in your learning environment, and plenty of real success stories, to help kick-start the innovation for you. This entry was posted in Professional and tagged 99%, book, books, Digital Media & Change Management, Education & Technology Policy, ewan mcintosh, how to come up with great ideas, Leadership & Management, make great ideas happen, notosh, Social Innovation on 29 August, 2014 by Ewan McIntosh. This entry was posted in Professional and tagged @TeacherToolkit, Academic Research, Applied Imagination, Blogging, book, Central St. Martins College, creative process, Creative teaching, creativity, Design and Technology, Design Studies, Dr. Geoff Crook, Education, Evidence Based, Goldsmiths College, Professor Kay Stables, Professor Richard Kimbell, reading, research, secondary, teaching on 12 May, 2014 by Ross Morrison McGill. This entry was posted in Professional and tagged @TeacherToolkit, #TakeAwayHmk, 100 Ideas, Blogging, book, Homework, learning, Mark Creasy, meaningful homework, publications, secondary, student achievement, teaching, UnHomework on 28 January, 2014 by Ross Morrison McGill. This entry was posted in Professional and tagged @MyEdHunt, @SLTCamp, @TeacherToolkit, @TESResources, Appraisal, awards, Blogging, book, Collaborative Professional Development, DfE, edublogs, Education, Good to Outstanding, Guardian Teacher Network Blog, Interview, Job applications, Osiris Education, Paul Dix, PiXL, Requires Improvement, Ross Morrison McGill, Royal College of Teachers, secondary, SLTchat, teacher, teaching, The Ugly Truth, Threshold, Twitter, Vamoose on 15 December, 2013 by Ross Morrison McGill. This entry was posted in Professional and tagged @TeacherToolkit, 100 Ideas, 100 Ideas Book, Blogging, book, Resources, secondary, teaching, Trending and Popularity, Twitter, writing on 28 October, 2013 by @TeacherToolkit. This entry was posted in Professional and tagged @TeacherToolkit, 100 Ideas, 100 Ideas Book, Author, Blogging, Bloomsbury, Bloomsbury Publishing, book, Cartoon, Malcolm Laverty, publications, secondary, teaching, writing on 26 September, 2013 by @TeacherToolkit. This entry was posted in Professional and tagged @LearningSpy, @TeacherToolkit, 100 Ideas, 100 Ideas Book, Blogging, Bloomsbury Publishing, book, Challabing, Christopher Waugh, David Didau, Education, Hayley Thompson, Ian McDaid, Inspiring stories, John Sayers, Keven Bartle, Mark Anderson, Moheeni Patel, Ofsted, outstanding, publications, Sarah Findlater, secondary, Stephen Lockyer, Stephen Tierney, teacher, teaching, Twitter, writing on 26 August, 2013 by @TeacherToolkit. I'm in the process of returning to work after a virus poleaxed me, and I have to confess that it's daunting. Can I remember how to 'do' it? I turned to this book to help remind me about the core principles and values. It didn't disappoint. Its chapters summarise the central issues: relationships, planning, personalised learning, AiFL, management, differentiation, questioning, community cohesion, starters, pleneries, homework, classroom support and self evaluation and CPD. Designed to show the standards Ofsted would consider 'oustanding', it is as applicable here in Scotland as anywhere. Well worth the price. Word of advice, to self as to anyone else, try to change one thing at a time! 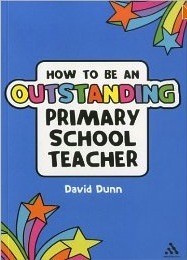 This entry was posted in Professional and tagged book, review, teaching on 13 January, 2012 by Graham.